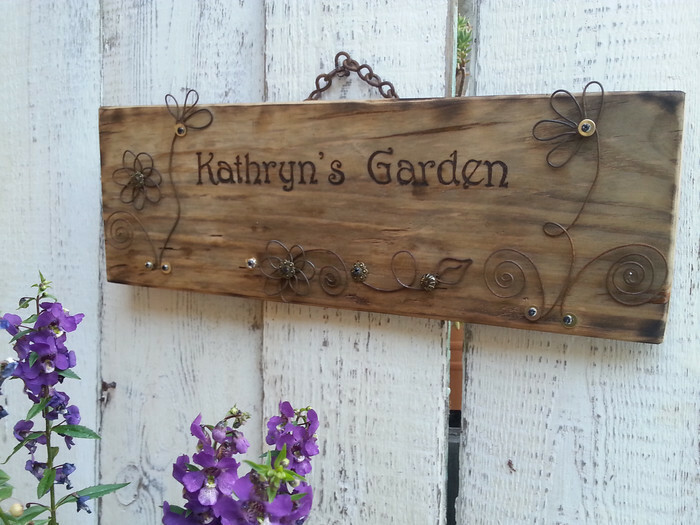 Easy to hang personalised garden sign. 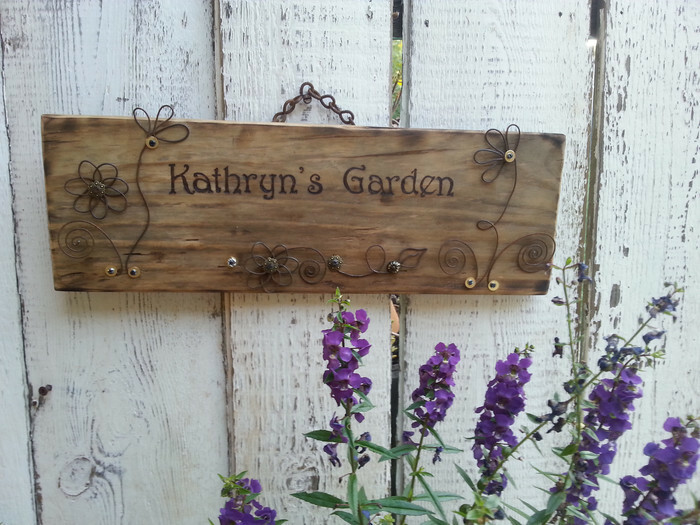 This upcycled sign is made using old wire and reclaimed timber and various bibs and bobs. 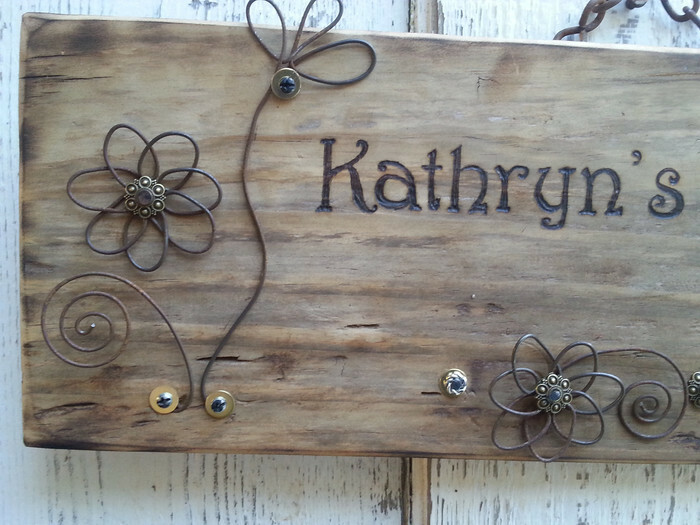 Writing is hand woodburned on and all wire flowers are hand made. 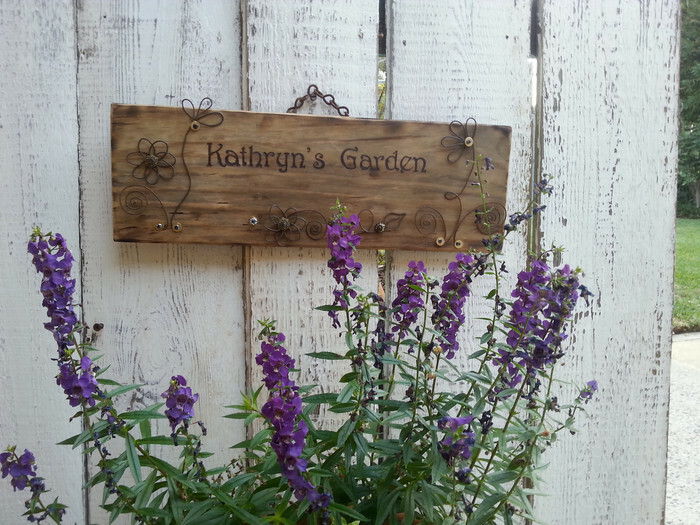 Wooden part of the sign measures 45cm x 14.8cm and flowers extend this measurement slightly. 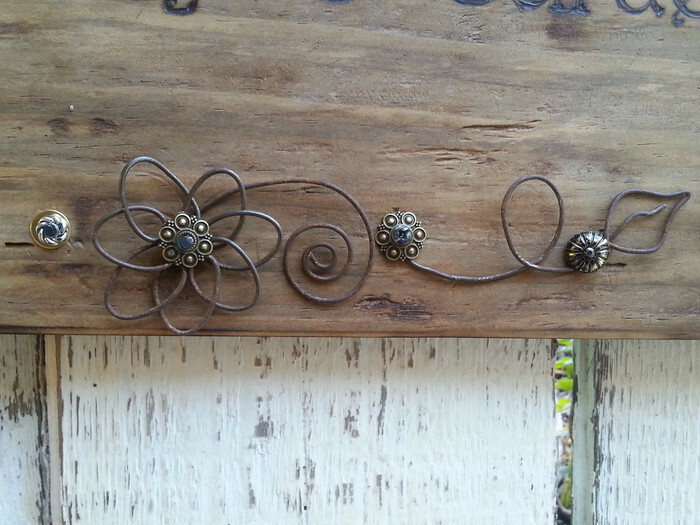 There is a recycled chain attached to the back for easy hanging. For best results, hang under eaves. 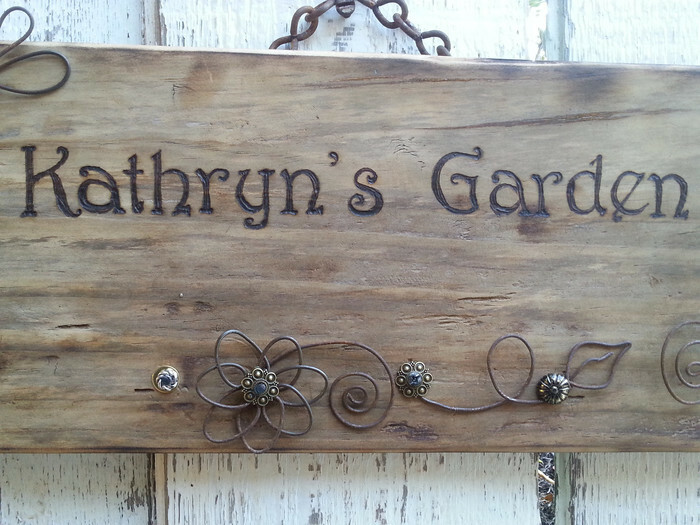 I can personalise this for the gardener in your life. Just let me know the name and allow 1-2 weeks for production. If you would like alternate text, please contact me to chat. Payment is to be via paypal or direct deposit. Payment must be received within 5 days of date of purchase otherwise item will be re-listed and sale will be cancelled.